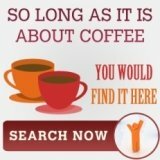 2008 best rated coffee makers mainly on price! 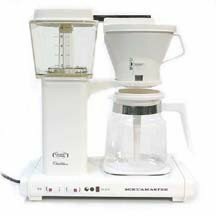 The best rated coffee makers from the various coffee maker ratings and reviews highlight a consistent trend that the best coffee makers for 2008 are generally very affordable. This should not come as a surprise given that 2008 is a tough year with many bad patches. 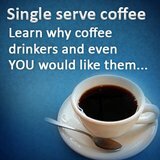 Rather than highlight 10 from the various review and ratings sites, I would bring you the 5 best rated coffee makers. Out of the 5, only 2 of them cost more than $100 and I would start with the more expensive coffee brewer which is the Technivorm KB 741. This is a Dutch manufactured coffee maker and other than having most of the standard drip coffee make features, its strongest value add remains to be its optimal temperature at 200 F.
I believe this is also the factor that got it certified by the Specialty Coffee Association of America (SCAA). The Technivorm retails at about $250 and is the highest priced model among the best rated brewers. The other coffee maker that is above $100 and also certified by the SCAA is the Newco OCS-8, its average retailing price is $140 and its most talk about feature is its thermal carafe. 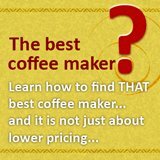 The next 3 best rated coffee makers by consumers are all below $100, with the lowest one costing only $40. That is the Braun Aroma Deluxe KF 1500. This brewer has got many raving reviews, one reason is the high volume of consumers that are using this machine. The next reason why it is getting great reviews is because of its relatively simple operation. There are no complicated procedures or process in using this fellow. Another very talked about brewer would be the cuisinart brew central DDC 1200 which retails at about $80. They started a new campaign involving social media especially you tube and I believed this might be the reason for its huge popularity. 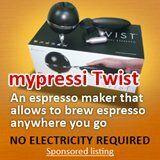 Operation wise, this is a coffee maker that is difficult not to like, armed with all the features of a drip filter coffee maker and throw in programmable feature, make this the lowest priced programmable coffee maker around. Rounding off the top 5 is Zojirushi fresh brew that retails at about $90 and of course, its popularity has to do with the fact that it can keep your coffee fresh for up to 4 hours! If you are looking for thermal feature, then zojirushi is the brand you would look for. There you have it folks, best rated coffee makers for 2008 and a summary on their capability.